I have purchased several movies from iTunes. Since most of the times these movies are played on my Apple TV. However from time to time the children want to watch the movies in their room. I can not find any menu option that will allow me to burn purchased movies to a DVD. Please explain how to do this? Apple encodes iTunes movies with DRM protection that prevents people from converting the videos or playing them on non-apple devices. ITunes will not allow you to burn the Movies. It seems that no method is available for movies which contain DRM. Thanks to NoteBurner iTunes Movie to DVD Converter (For Mac & For Windows), you can remove the DRM protection from both purchased and rented iTunes movies and burn the unprotected video to DVD. Here we will show you how to convert iTunes movies to DVD on Windows and Mac Operating Systems seperately. Tips: If you want to burn your Apple Music songs to CDs, you can look this article for help: How to Burn Apple Music Songs to CDs. Part 1: How to Burn iTunes Movies to DVD on Windows? 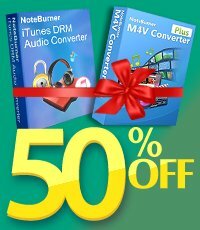 NoteBurner iTunes movies to DVD converter helps convert DRM protected videos to conventional MP4 video file while Any Video Converter helps burn the unprotected iTunes movies to blank DVD disc. Step 1: Download the movies or TV shows you have purchased or rented from iTunes store. Launch NoteBurner iTunes Movies converter after you finish downloading and installing it. Now please click the "Add Movies" button on the upper left corner to import the video you need to burn. Step 2: Navigate to where it shows a arrow icon and choose "Lossless MP4" in the output profile. It will preserve the image quality. Step 3: Click "Convert" button. 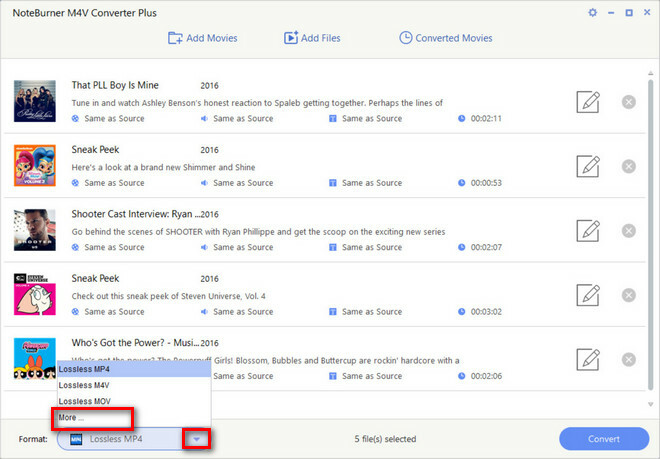 Once it finishes conversion, you can open the destination folder to find the converted iTunes movies. Step 4: Run Any Video Converter Free and add the converted iTunes movies to the program. Step 5: Go to "Burn DVD" window, then click Add Video(s) button. Choose DVD video NTSC Movie or DVD video PAL Movie according to your TV system. And then cllick "Burn NOW!" Button to start burning videos to DVD. Step 6: When it finishes, the program will eject the burned disc automatically after you click "OK" in the popup dialogue box. Part 2: How to Burn iTunes Movies to DVD on Mac? NoteBurner iTunes Movies to DVD Converter will remove DRM protection from iTunes videos and convert them to the file formats that can be supported in iDVD. You can burn the converted videos to DVD with iDVD. 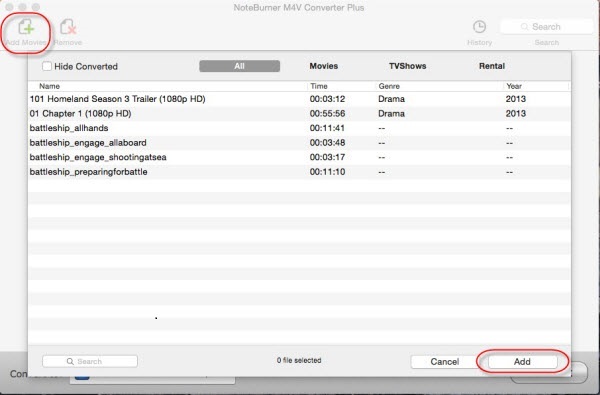 Step 1: Run NoteBurner iTunes movies to DVD Converter on your Mac and add the rented or purchased videos to the program. Step 2: Choose "iDVD" in the output profile. iDVD does not suport copyprotected or protected videos but the DRM removal tool will convert the protected video file to common video files that are supported in iDVD. Step 3: Click "Convert" button. A popup window will show the status of conversion. Step 4: Launch "iDVD" and choose "Create a new project". You can give your DVD a name, choose a theme and put in a title and then import the converted movie to iDVD. Step 5: When everything is 100% ready, you can burn a disk. A DVD-R disc is better as DVD+R's don't always work as well. Step 6: Take out the burner disc for playback. The process is quite simple and easy for operation. NoteBurner is such a powerful DRM removal tool that it does the most important job in iTunes movies to DVD conversion. Not only can iDVD burn the video to DVD, Any Video Converter Ultimate can also do as perfectly as iDVD. Learn more on how to burn iTunes videos on Mac OS.